Will there be light at the end of the tunnel? Any good news which promises to bring about qualitative improvement in the lives of people, especially in rural India, is always welcome. It was heartening indeed to learn that every single village in the country now has access to electricity, as announced by the prime minister on April 29. This is most certainly laudable and should make us all proud. This is especially good news for the stranded India – which we define as the bottom 1,00,000 villages which have remained stuck in a time warp and not seen the kind of developments that many other pockets in India have. However, there are compelling questions over what this means, including its implications for the millions who remain caught in the crossfire of misery and poverty. When the government of India launched the Rs 75,893 crore Deen Dayal Upadhyay Gram Jyoti Yojana (DDUGJY), there were 18,452 un-electrified census villages out of India’s 5,97,464 census villages and on August 15, 2015 the PM had announced that all such villages would be electrified in 1,000 days. The target was met ahead of the deadline and this indeed is worthy of appreciation. What is crucial however – and the key question is getting lost in the din of excitement – to ask is if this means that we have suddenly brought the stranded India out of the misery of darkness! Or in simpler words, does this mean that all Indians have access to electricity? The answer is no, and this is where the bigger concern lies. It is rather intriguing to note that the government systems and definitions are a little tricky and at times can leave us flummoxed. 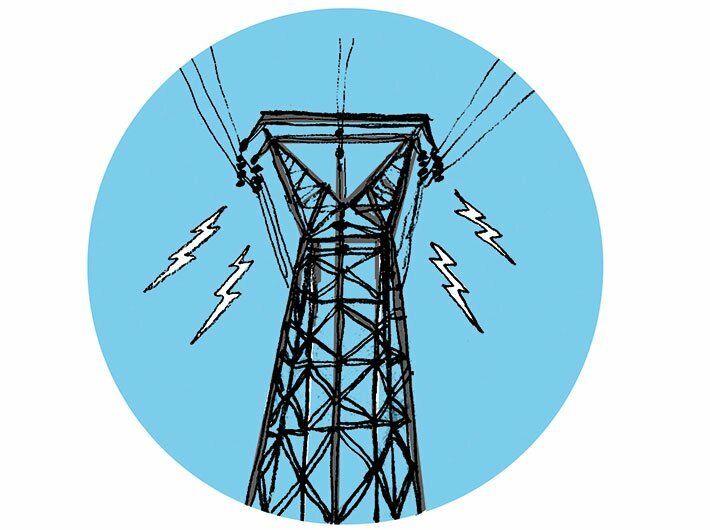 What has made this claim by the government officially correct is the definition: The government considers a village electrified if it has basic electrical infrastructure and 10 percent of its households and public places including schools, local administrative offices and health centres have power. The extremely faulty definition, which needs to be critically looked into, is silent on the fate of the remaining 90 percent. Meanwhile, the government is aware that such claims, even though officially correct, may not hold if the logical next steps are not taken. Therefore, it is working through the ambitious Rs 16,320 crore Pradhan Mantri Sahaj Bijli Har Ghar Yojana (‘Saubhagya’) to facilitate free electricity connections to about 4 crore households in rural and urban areas. The programme also aims to provide solar photovoltaic (SPV)-based standalone systems for un-electrified households in remote and inaccessible villages / habitations, where grid extension is not feasible or cost effective. The scheme was launched in October 2017 and so far just about 14 percent of the targeted households have been electrified. The Saubhagya website throws some interesting, and worrying, state-wise data confirming our apprehensions about the problems of the stranded India. Out of the 17 percent of the total households that need to be electrified as per Saubhagya data, most are in the states which have remained laggards. Jharkhand with only 48 percent electrification, UP with 58 percent, Odisha with 64 percent and Bihar with 74 percent display the disparities and highlights our thesis of the stranded India. We have always argued that the national aspiration of ‘Transforming India’ can’t move ahead without ‘Transforming Rural India’, the sheer number and persistent urban-rural opportunity divide lays waste a very large humanity. Critically, India in near-term will continue to be overwhelmingly rural in spite of high economic growth, and the situation around quality education, healthcare and governance is unlikely to change without urgent concerted national effort. It is an imperative that in addition to achieving sustained high rate of economic growth (both urban and rural), we also bring urgent focus on making the village a better place to live in. Electricity is certainly a key resource that holds the potential of driving the engine of rural growth. What a travesty, be it access to electricity or other basic human needs such as education and health, our records remain poor. Our celebrations will remain hollow if we don’t go the next mile and ensure that access to electricity is supplemented with other substantive measures including access to opportunities such as better irrigation, markets and also arresting the migration. It is a well-known fact that access to electricity does trigger better opportunities for people in developing societies. We sincerely hope that this enhanced access and connectivity could trigger the process of change in the stranded India. Kumar is co-lead, Transforming Rural India Foundation, an initiative of Tata Trusts.